Home » Uncategorized » Booking a Park Hyatt Award Stay When You Have Zero Hyatt Points?? Booking a Park Hyatt Award Stay When You Have Zero Hyatt Points?? We spent part of this weekend working on a late fall trip. We’ll be starting in Paris and ending in Zurich – two cities that are not cheap. We decided to stay one night at a Park Hyatt – I’ve never stayed in a Park Hyatt before and haven’t stayed in a Hyatt since long before I started the points/miles game. We’ll be spending just a single night in Paris and Zurich each. 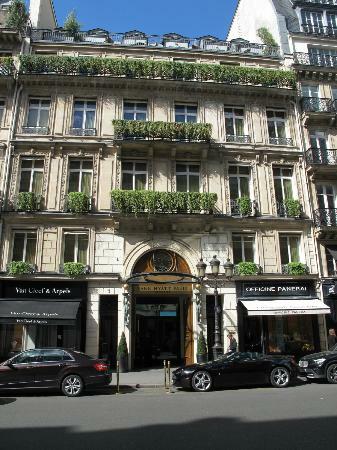 The highly rated Park Hyatt was going for 540 €/night (or about 750USD). I have never spent that much on a hotel for a night and I can’t imagine being in a situation where I would. My flights to Stockholm in January and my flight to Shanghai the January before each cost about 750USD — and I’d much rather fly someplace across the planet instead of spending a single night someplace. 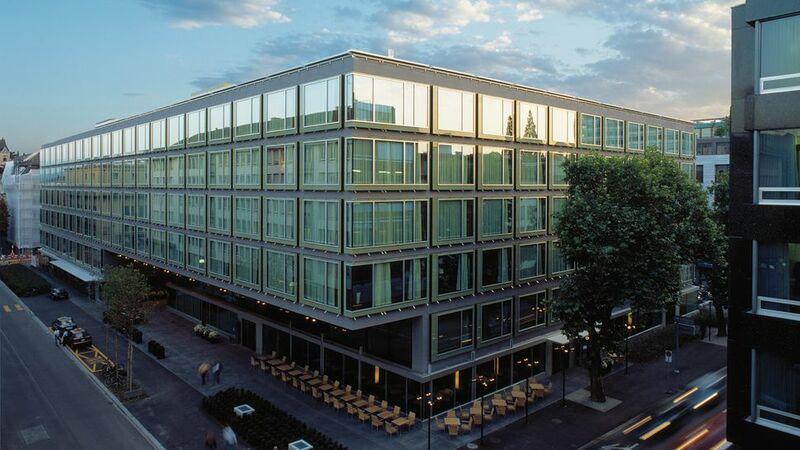 Park Hyatt Zurich – not as glamorous exterior as the Park Hyatt Paris, eh? This Park Hyatt is a Hyatt Category 7 hotel – there are only 7 Category Hotels throughout the world (New York, Beaver Creek, Sydney, Tokyo, Paris, Zurich and Milan). A Category 7 Hotel costs 30,000 points per night for a standard room. Since I haven’t stayed at a Hyatt property in about a decade, I don’t have 30,000 Hyatt Gold Passport Points to spend. Luckily, I have the Chase Sapphire Preferred Credit Card that allows card members to instantaneously transfer Ultimate Reward Points (the point currency used by the various Chase cards – including Freedom, Sapphire, Ink, etc). Since I put most of my spending on either my Sapphire Preferred (or my AmEx SPG) card I had ample Ultimate Reward Points. I confirmed one final time that the room was still available at the Park Hyatt for the night in question, then headed on over to Chase.com and transferred (instantly, mind you) to my Hyatt Gold Passport Account and booked the room. It’s important to note that once you transfer the points from Chase to Hyatt (or any of the other partners like United, Marriott, Southwest, British Airways, etc) you cannot transfer them back – so make sure the award you want is available right when you transfer. Some airlines allow you to hold a ticket while you transfer points in from another source — I don’t think you can hold a hotel room, has anyone out there had experience with this? Have you stayed at a Park Hyatt before? What should I expect as a non-elite member staying at one of these beautiful Category 7 properties? By Tim in Uncategorized on September 7, 2014 .